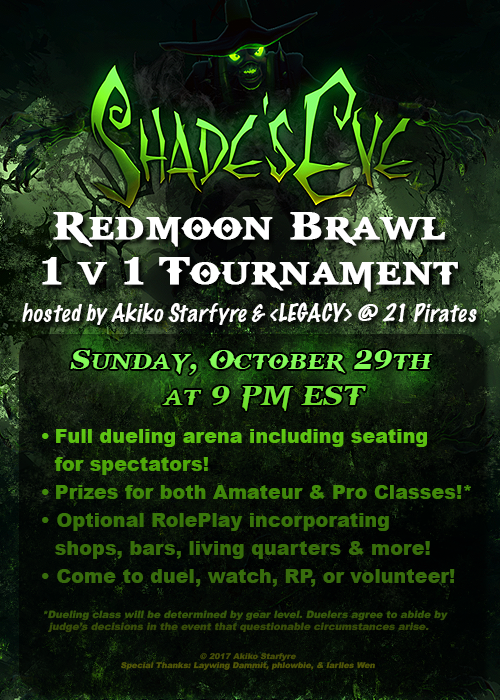 Forums » Looking For RP » Redmoon Brawl Returns! Come to watch the melee, throw back a brew at the bar, acquire your contraband in the black market, or book passage in the departures hangars! We'll have more for the RP folks this time around than the last tourney. Hope to see you there!